The Canberra Garage range has an excellent strong structure that has a mid wall bracing. They are made from hot-dipped galvanised steel and for added duribility they have been given a coat of primer as well as an attractive coat combination of mist green and smooth cream. 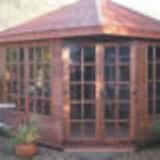 These are fitted with large front double doors plus a side door and is also fitted with a skylight. 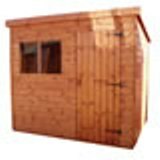 These are extremely versitile garages that can be used as a workshop, a multi-purpose space or just simply a garage. This range comes with a 10 year non-perforation guarantee.